Heavenly male voices sing Gregorian chants. Inside the current monastery of Pietro di Sorres, which was once a cathedral, not only will you look at its architectural beauty with admiration, but you will also be spellbound as you listen to the melodic sounds. 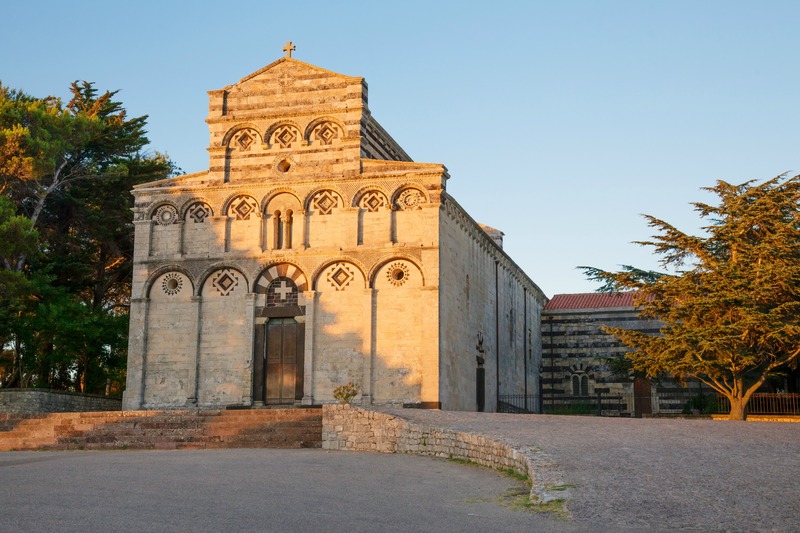 The beautiful Romanesque church stands on a hill in the territory of Borutta, in theMeilogu region, not far from the village and the old Roman road that connected the north of the Island to the south. Its strategic position has revealed tombs from the Byzantine period and a wealth of grave goods. 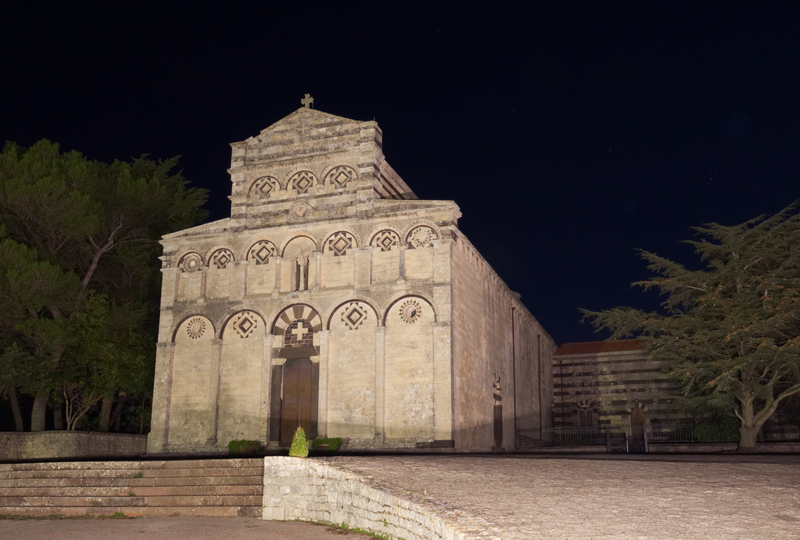 It is thought that San Pietro di Sorres was built between 1170 and 1200, by that MarianeMaistro whose signature was left on the step beneath the main door. 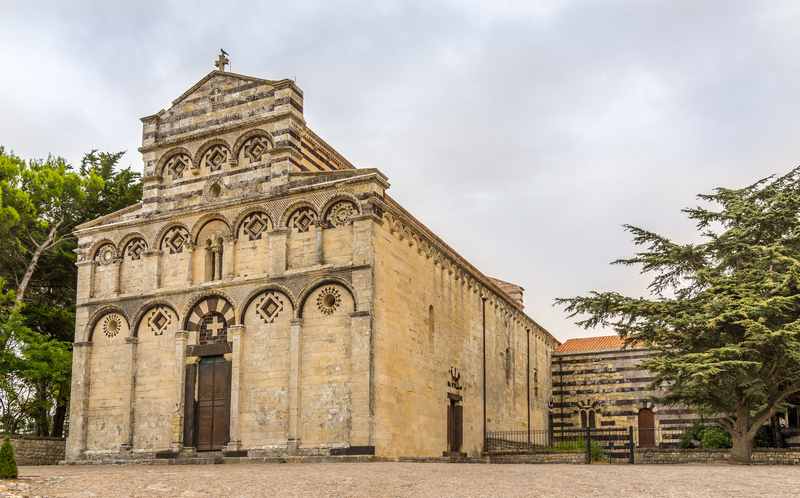 Like other Sardinian cathedrals, it was built after the reform of the Church of the Benedictine Pope, Gregory VII. The bond with the papacy explains the dedication made to the saint. In the Middle Ages, it was the seat of the diocese of Sorres and, after being a cathedral for centuries, it was modified in the 1950s, to function as a monastery for the Benedictine order. The stages of its construction are reflected in its architecture: parts made of limestone and volcanic rock have been put on top of the masonry pillars. The columns supporting the arches on the eastern side are extremely fascinating. The geometric decorations guarantee the homogeneity of the complex: diamond shapes and concentric wheels run along the façade and the entire perimeter. 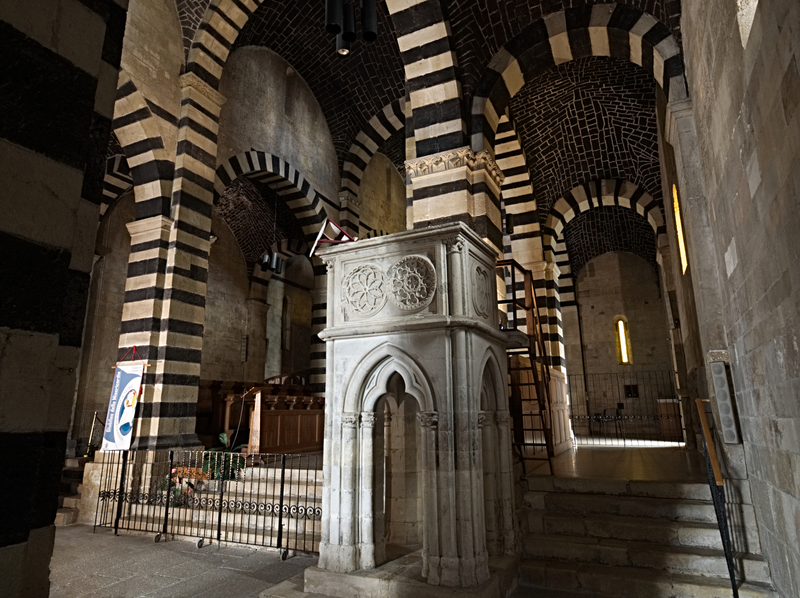 The apse, which is caressed by the sunlight coming in through three single-lancet windows, will charm you with its elegance. 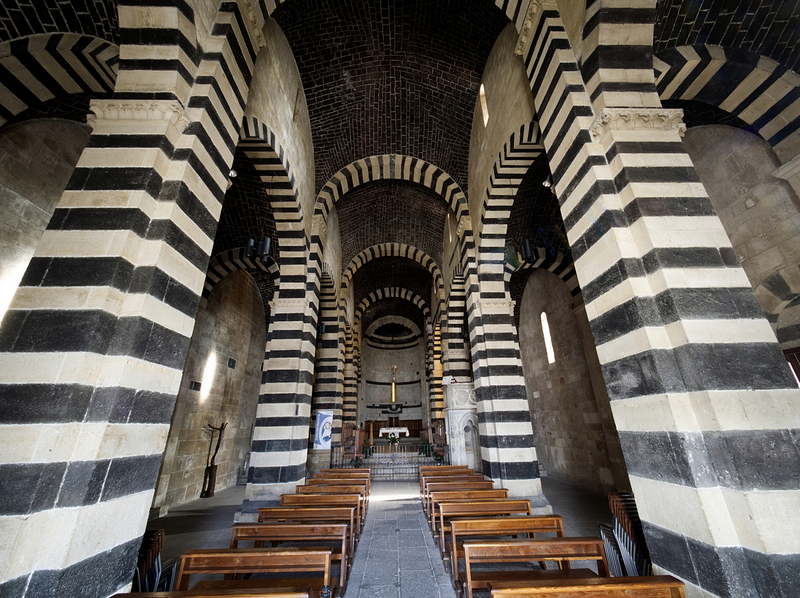 Inside, there are three naves, separated by two rows of six cross-shaped pillars and covered by basalt cross vaults. As a whole, the harmony of its forms and colours strikes you, instilling a sensation of majesty. You can admire the craftsmanship and the geometric precision in the decorations of an ancient church, which dates back to the end of the 12th century, and you can take a break from routine in the austere and serene monastic environment. Il complesso benedettino è situato nella campagna di Borutta, nella parte nord-ovest della Sardegna. Dal centro di Borutta, resta sulla sinistra e percorri la Strada Provinciale 30. Gira a sinistra per rimanere su via San Pietro di Sorres e procedi fino al grande parcheggio antistante la chiesa.